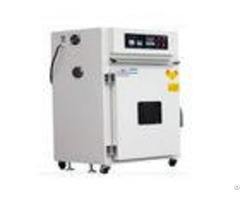 Electric Benchtop Vacuum Constant Temperature Industrial Dry Oven With Temperature Adjustable Description Vacuum drying oven is designed for drying of material which is heat-sensitive, easy to decompose and oxidized. It also can rush into inert gas to the internal, especially of some compound material can also be quick drying. 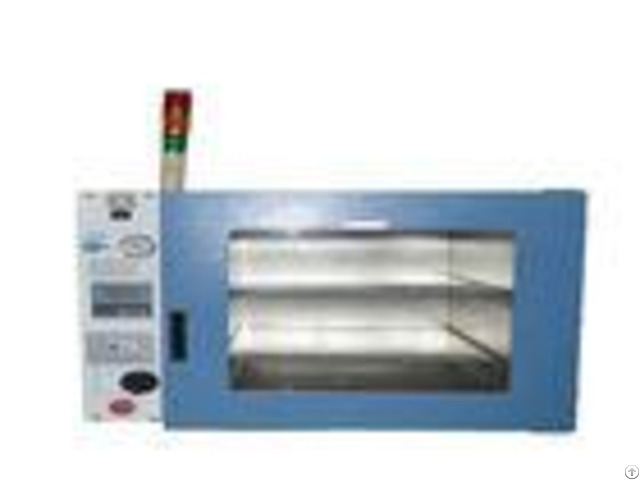 Specifications - - - - Model | GAG-5130-1 | GAG-5130-2 | GAG-5130-3 | GAG-5130-4 | GAG-5130-5 | Power | 220V 50Hz | temperature | 50C-200C | fluctuation | +/-1C | Following alarm | +5C | Consume power | 500w | 500w | 800w | 1500w | 2000w | Inside size (L*W*H)mm | 250*250*250 | 300*300*275 | 415*370*345 | 554*370*523 | 600*550*600 | Outside size (L*W*H)mm | 535*440*435 | 585*490*460 | 700*560*530 | 840*560*710 | 885*740*790 | - - - - Features - - - - 1. With hidden door locks, silent fans 2. Mechanical overheat protection 3. Electricity leakage protection. 4. With a double glass window 5. Microprocessor control, 6. Digital display setting and actual temperature 7. Digital display running timer 8. Over temperature alarm 9. Automatic alarm after the operation 10. 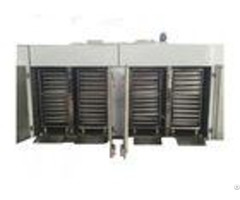 Suitable for drying, baking, dewaxing, sterilization, solidifying 11. Polished stainless-steel chamber 12. Latest PID controller 13. Uniform distribution of air temperature 14. Forced-air convection 15. Double Layer glass door, larger viewing window. 16. Independent temperature-limiting alarm system ensures experiments run safely. (option) 17.An RS485 connector is an option which can connect a computer to record the parameters and the variations of temperature. 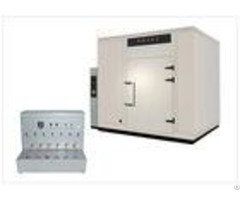 (option) | - - - - Applicable industries Desktop Vertical Electric Dry Oven widely used in paint, resins, plastics, printing and packaging, aluminum, adhesives, auto, cosmetics, metals, electronics, electroplating, medicine, etc.